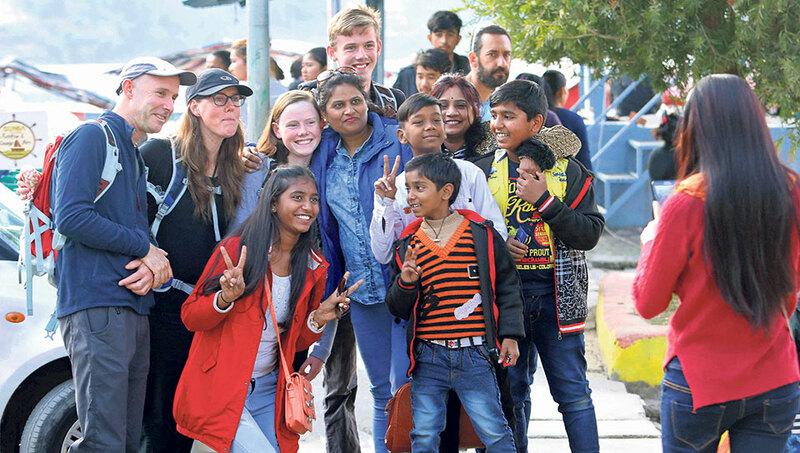 Foreign tourists pose for a photo as they celebrate New Year 2018 in Lakeside, Pokhara, on Monday. POKHARA, Jan 2: The country has seen a record arrival of foreign tourists in 2017 since 2012, according to the statistics of Nepal Tourism Board (NTB). Entrepreneurs have been delighted to see the rebounding of the tourism sector that was negatively affected by the earthquake and border blockade of 2015. Entrepreneurs have been hoping that the government comes with plans and programs to further increase the number of tourists in coming days. Unlike other countries that had to wait long to revive their tourism sectors after a big catastrophe, Nepal’s recovery of tourism industry within two years of the earthquake has been commendable, Tulachan added. 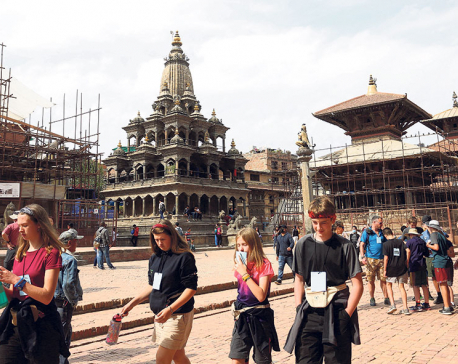 NTB statistics stated that 736,000 foreign tourists visited Nepal in 2011. The number increased to 830,000 in 2012 and in 2013, the country welcomed 797,000 foreign tourists. 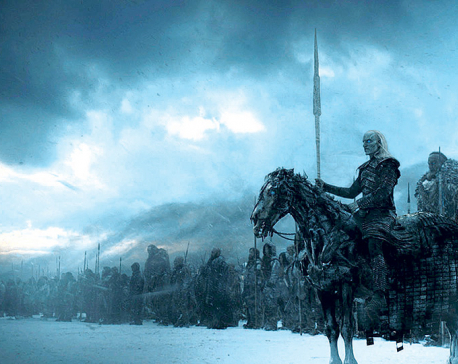 In 2014, the number decreased to 790,000. Due to earthquake and blockade in 2015, the number declined to 539,000 in 2015. However, it increased to 753,000 in 2016. Nepal succeeded in welcoming more than 850,000 tourists in 2017, according to a preliminary report of NTB. “Finally, tourist arrivals in 2017 surpassed the record high number of 2012,” Surya Thapaliya, manager of NTB Pokhara, said. “We should take it as a positive development.” Improve in tourist arrival in the country will directly impact Pokhara, he added. According to Thapaliya, the number 850,000 was only that of tourists arriving the country via air-route, and it may reach up to one million if those arriving via land route from India and third countries was counted. According to the data of last 10 years, around 35 percent tourists coming to Nepal visit Pokhara. According to the NTB, tourists come in from India via the eastern and western borders too. “Indians coming to Lumbini and Pokhara via Sunauli are also tourists,” Thapaliya said. “There are tourists who come via the eastern border to visit Dhankuta and Ilam, and there are tourists who come to visit Birgunj and Bhairahawa too. All of them are tourists.” So based on this growth if both local and provincial governments could promote their respective areas then 2018 will be more delightful for tourism industry, Thapaliya said. KATHMANDU, Jan 9: Tourist arrivals hit a record 1.17 million in 2018 -- a growth of 24.77 percent compared to 2017.